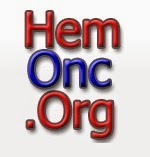 Thank you again for previously supporting our efforts at HemOnc.org to create a collaborative free hematology/oncology reference. We're excited that ASCO's Journal of Oncology Practice just published a manuscript we submitted about the website, which is still going strong and being regularly updated after over 3 years. From its inception in November 2011, HemOnc.org has grown rapidly and most recently has detailed information on 383 drugs and 1,298 distinct chemotherapy regimens (not counting variants) in 92 disease subtypes. There are regularly more than 2,000 visitors per week from the United States and international locations. A user evaluation demonstrated that users find the site useful, usable, and recommendable. Future enhancements, including more metadata about drugs and increasingly detailed efficacy and toxicity information, will continue to improve the value of the resource. Congratulations to this team for a job well done and for their contributions to so many people around the world! David States: Organizations like ASCO, ASH and NCCN should really be supporting this as part of fulfilling their core missions. Maintaining good data is real work and we need sustainable business models. Peter Yang: David, it would really be great if they would be able to support this type of project, but to be fair they have lots on their plates already too. Those of us who devote time to build and add information to this site do so with the hope that our efforts will inspire others to do the same and help our community as a whole access information and improve how we care for patients. David States: Having been in informatics for a while, good data sets are almost always built by the heroic efforts of one key individual. Whether they last depends on whether mechanisms can be found to support that person. ASCO's annual revenue was $86M in 2013. What are your real expenses? And don't say volunteer time is free. Peter Yang: Since I was able to do much of the IT work, the financial cost of running and administrating a website isn't that great. However, the number of physician-hours that we have spent in our "free time" is almost certainly in the thousands by this point. Nevertheless, I feel that investment has paid back many times over because of the time that we've saved other people who were looking for the kind of information on the site. That's why the site was created in the first place--because there were inadequate references available, and the existing ones often had too many errors for my comfort.